EAS Betagen Review - Is Betagen Effective? What are the Side Effects? 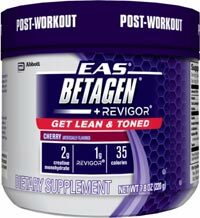 So what exactly is Eas Betagen? As the title says, Betagen contains just 3 key ingredients which are: Creatine Monohydrate, L-glutamine, and HMB. Of course, it also has a little bit of Taurine in it as well. HMB (ß-hydroxy-ß-methylbutyrate) is a natural compound produced in the body in very small amounts, and it can be found in some foods like catfish and alfalfa. HMB is a metabolite of the amino acid leucine, and numerous studies have shown HMB to be a precursor of cholesterol. A very small portion of leucine in the body is converted to HMB producing about 0.2 - 0.4g of HMB per day. Read more about HMB here. Glutamine is the most common amino acid found in your muscles - over 61% of skeletal muscle is Glutamine. Glutamine consists of 19% nitrogen, making it the primary transporter of nitrogen into your muscle cells. 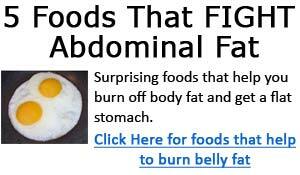 Read more about glutamine here. Creatine is actually a nutrient found naturally in our bodies, and it's made from a combination of the three amino acids arginine, glycine and methionine. The main function of creatine is providing energy to your muscles for movements, especially quick and explosive movements. Read more about creatine here. EAS Betagen has a bit of a history. For a long time, it was sold and marketed as "Betagen" by EAS. Then, for whatever reasons, it was discontinued, and EAS came up with another line called EAS Pro Science, and in that line, the made a product called Reload, which had the exact ingredients as Betagen. So they had discontinued Betagen and renamed it "Reload". I was actually contacted by a marketing rep for that and got some free samples. Well, that didn't last all that long, and now, it looks like Reload got discontinued and EAS Betagen is available once again. not sure what all that trouble was for, but they should've just left Betagen as Betagen. It was good the way it was! Aside from anything else, I'd almost say Betagen is worth its cost just for its awesome flavors! No kidding. Obviously, that's an over statement - keep in mind what we're after is results - muscle and strength gains - not great tasting supplements. But good tasting supplements is definitely a plus. Betagen comes in cherry and orange flavors. It's quite inxepnsive as well. A container is 220g and has 20 servings, so you're looking at roughly $0.67 per serving. Worried about side effects? There really isn't anything to worry about, after all, Betagen is just a creatine supplement mixed in with some HMB and glutamine. I had no problems with it.